A qualified member can obtain a line of credit up to $300,000. The credit line will be based on available equity using an eighty (80) percent loan-to-value formula. Application fee of $499.00 can be paid with their application or rolled into the loan. The credit line has a five (5) year draw period and up to ten (10) year payback. A qualified member can obtain a fixed rate second mortgage up to $300,000. Amount available will be based on the properties equity calculated on an 80% (1st position lien) and 75% (2nd position lien) loan-to-value ratio. 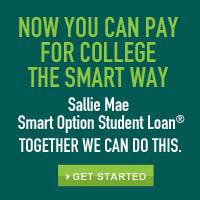 Application fee of $499 can be paid with the application or rolled into the loan. Loan maturities can go up to ten (10) years. A qualified member can obtain a fixed rate second mortgage on either two types of collateral. Amount available will be determined using seventy (70%) percent loan-to-value ratio. Home Equity Line of Credit Loans will not be granted on this type of collateral. Loan maturity will not exceed one hundred twenty (120) months. A 1.50% A.P.R. premium is added to the fixed rate second mortgage rate for this type of loan. Application fee of $499.00 can be paid with the application or rolled into the loan. Click one of the links below to get started with a home equity line of credit or home equity loan. Loan Calculator - Figure out your loan payments. "When Your Home is On the Line" - Read for more information about home equity loans and home equity lines of credit. "Home Equity Early Disclosure" - Read disclosure statement before proceeding to your application for a Home Equity Loan. Home Equity Loan Online Application - Fill out a Home Equity Loan application online. Home Equity Loan Downloadable Application (Adobe PDF File) - Print at home or stop in the Credit Union and pick one up! Don't have Adobe Acrobat? Click here to get Acrobat free and download all our forms with ease.